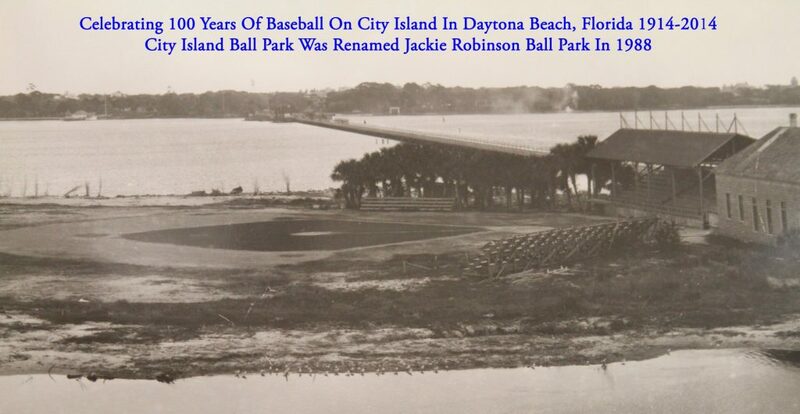 Jackie Robinson made history in Daytona Jackie Robinson made history at the Daytona Tortugas' ballpark in Daytona Beach, Florida. The Tortugas' minor league ballpark in Daytona Beach, which was later named after him, was the site of the first integrated professional baseball game back in March of 1946. 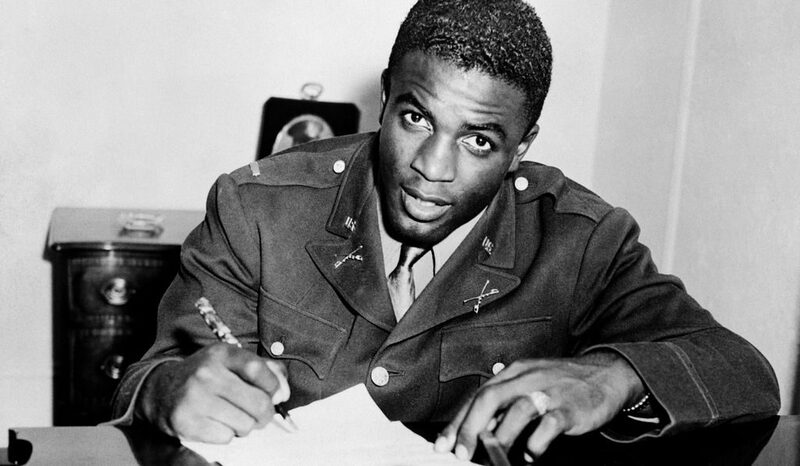 First Black Player in the MLB First Black Player in the MLB Jackie had infamously just been signed in October by Branch Rickey, General Manager of the Brooklyn Dodgers, as the first black professional baseball player in the MLB. He started out in the majors the following March in spring training games for their AAA Minor League affiliate, the Montreal Royals - playing at their ballpark in Daytona Beach. Baseball history and civil rights legends were born in that little park. Jackie Robinson Ballpark Today. Today, the park features not only Robinson's name, but also a museum dedicated to him and other civil rights heroes. Walking tours around the park help new generations to understand and appreciate the social justice history in the lives of several barrier-breaking black athletes and our nation's first black Congresswoman. Home Video of Jackie Robinson at Daytona Daytona Beach Area resident George Bates was twelve years old on April 2, 1946, when he, his dad and brother went to see Jackie Robinson play for the Montreal Royals against the Brooklyn Dodgers at City Island Ball Park. What he didn’t know was that he and his fourteen year-old brother Robert would be randomly picked from the crowd to become the bat boys. “We were there early and stood we out,” Bates recalled. “I did Montreal and my brother did the Dodgers that day.” George’s father Robert S. Bates had a home color 16 millimeter movie camera and intended to film Robinson. That home movie is the earliest known film to exist of Robinson during that Spring Training. It can be seen online at jackierobinsonballpark.com. 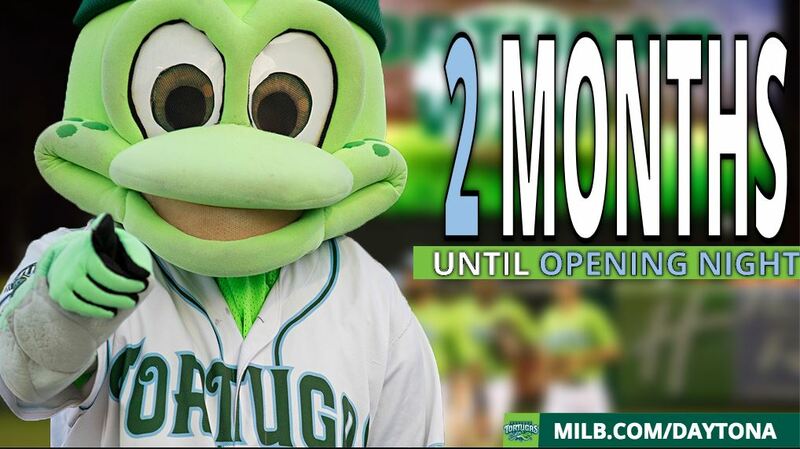 Daytona Tortugas at Jackie Robinson Ballpark Today, the Daytona Tortugas play at Jackie Robinson Ballpark. They are the minor league team for the Cincinatti Reds. The team and games are very popular in region, providing entertainment for the whole family and supporting many local causes. Their upcoming schedule looks to be a lot of fun. 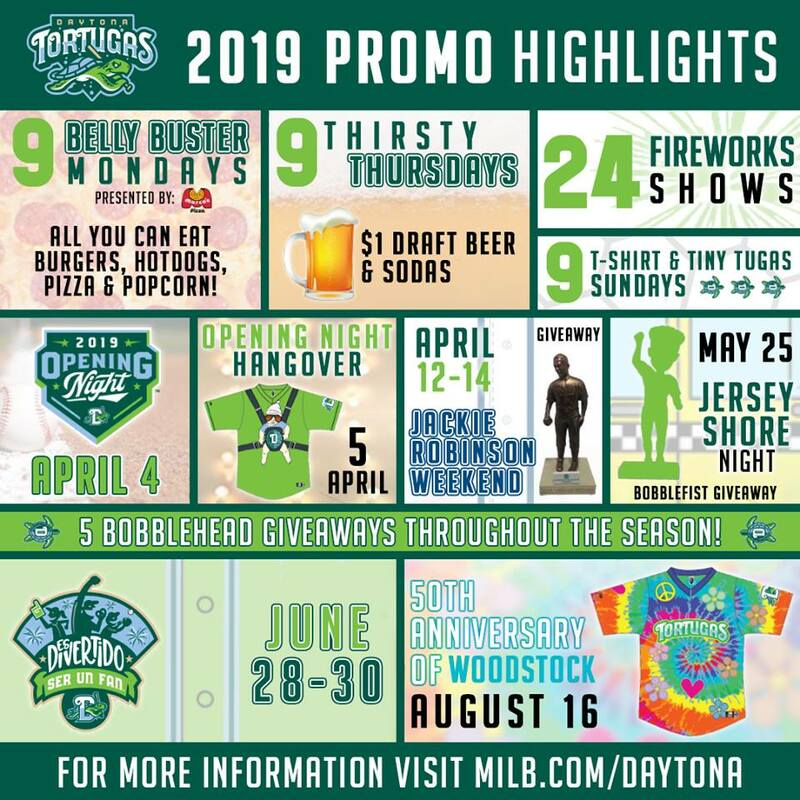 Come enjoy the Daytona Tortugas Come see the hometown Daytona Tortugas swing for the fences against other Class A-Advanced Major League Baseball affiliate franchises at Jackie Robinson Ballpark. Named for the first African American to play in the major leagues, this intimate, 5,100-seat venue features a statue of Robinson, historical markers and a fascinating museum. It's also a great place to sit back and relax with a hot dog and cold beer, while enjoying America's Past Time with the whole family. 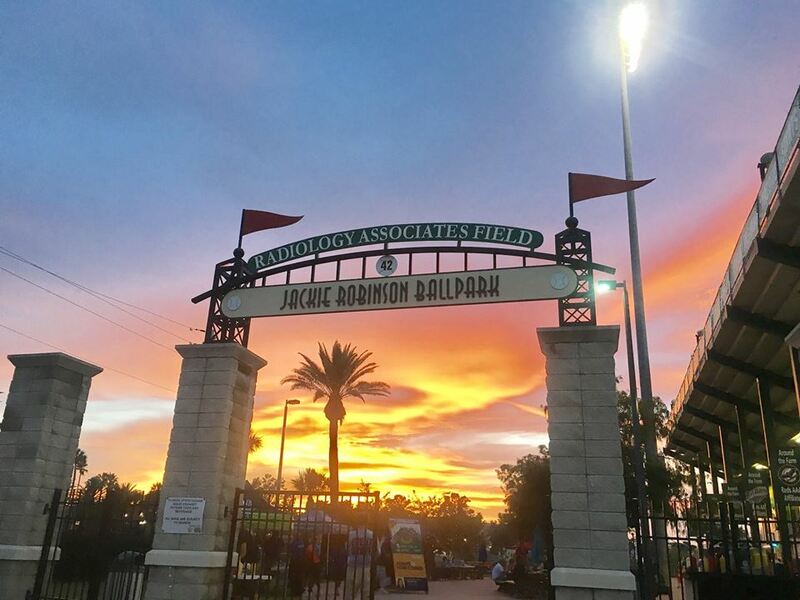 Here are directions to the ballpark from our condo on the beach in New Smyrna Beach: Come see where Jackie Robinson made history at Jackie Robinson Ballpark in Daytona, Florida. Soak in the history. Enjoy the game and the ballpark fun. Hi, my husband Mike and I bought this lovely condo in the summer of 2015 as we are getting ready to retire to Florida in the winters. We have visited New Smyrna Beach many times over the years and love its laid back quiet little beachtown feel.